A classic for generations, The Joy of Cooking has seen many revisions over the years—and each has its own charm. While only the more recent editions are available as new books, if you want the version your mom used you might be able to find it online. The 75 th anniversary edition is great because it includes some of the classic recipes from previous versions and well as updated recipes for the modern cook. With over 4000 recipes total, this is a great starter book, and it’s also ideal for someone who doesn’t have the shelf space for a large collection of books. First published in 1896 with many revisions afterward, this facsimile of the original edition is a joy for history buffs, yet it’s still filled with recipes that can be used today. Cooking from this book requires a little improvisation since it was published in a time when ovens didn’t have thermometers and modern gadgets didn’t exist. The pound cake recipe will make you appreciate your electric hand mixer or stand mixer, or it will give you a workout if you decide to do all the mixing by hand as it was done at that time. With approachable recipes, plenty of techniques and tips, and a ring-binder that makes it easy to keep this book open, this may be the perfect book for an amateur chef. There are over 1,200 recipes to choose from and plenty of helpful photos, so there's something for every palette in here. While this book is perfect for beginners, it’s also the go-to book for more accomplished cooks who can use it as an easy reference. The five-minute-a-day concept made bread baking accessible for home cooks who didn’t have the time or interest in the long process of kneading, rising, punching, and watching a loaf of bread for half a day. This method takes advantage of long, cold rises, making the actual working time shorter. This is a revised edition of the original book, which incorporates the feedback of home bakers who loved the concept of five-minute bread baking. Even if you’re an accomplished bread maker, this book and its techniques are a good addition to the bookshelf. Julia Child is a cooking icon, so it makes sense that a book featuring her cooking would be on this list. While Mastering the Art of French Cooking was her first masterpiece, this book might actually be more useful for the modern cook. This cookbook, written by Dori Greenspan, includes recipes from Julia’s television show, Baking with Julia. Her show invites bakers into her kitchen to make their favorite recipes, and it has been wildly successful. Some of the bakers on her show have since become today’s superstars. All of the recipes taken from her show are well-written and approachable and will appeal to bakers of all skill levels. Italian cooking is home cooking, so who better to learn from than a woman who honed her craft at home and who has had a number of popular television shows? While Lidia has authored a number of cookbooks, this one is appealing for its variety of recipes and the suggestions on how to change those recipes. From homemade pasta and simple sauces to main dishes and desserts, this book will teach you everything you need to know about Italian cooking. Mark Bittman is known for his minimalist recipes that taste delicious. New cooks will appreciate his no-fuss approach and everyday cooking tools that he uses to produce these recipes, while accomplished cooks will enjoy the basics that they can customize for their own taste. Unlike shortcut cookbooks that use processed foods, this one relies on fresh ingredients, so cooks looking for healthy options are sure to find plenty among the 2000 recipes in this book. With the arrival of the Instant Pot, more home cooks are pressure cooking than ever before. Sure, there are plenty of recipes available online, but not all are reliable. This book offers instructions for both electric and stovetop pressure cookers, so there’s no need to adapt from one to the other on your own. With 500 recipes to choose from, ranging from hearty soups to decadent cheesecakes, there’s something in this book for everyone. This book hasn’t been around long enough to be considered a classic, but it deserves to be on the list. 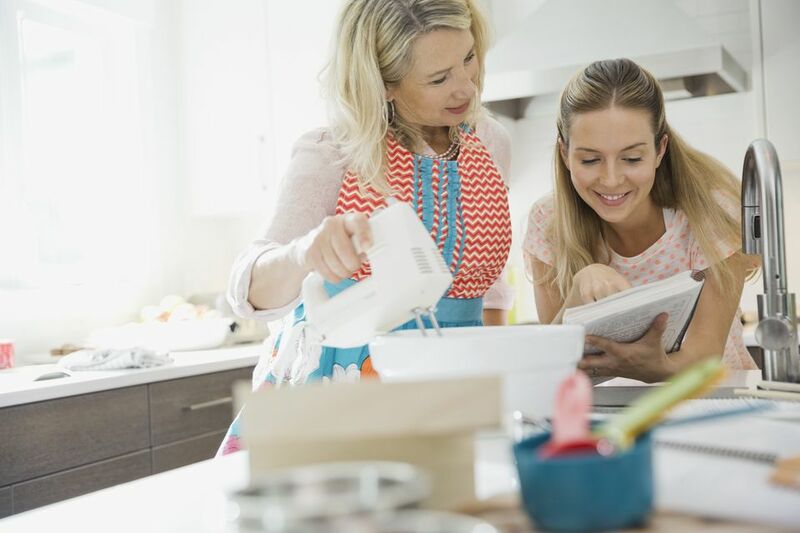 You can reach for this cookbook every night of the week as it utilizes basic ingredients that everyone has in their refrigerator and freezer—there's a good chance that you’ll be able to cook most recipes without making a separate trip to the grocery store. Plus, all of the recipes are easy to follow and absolutely delicious. This book ensures that you can still make a great dinner on your busiest night. There are bigger, fatter, and more comprehensive Mexican cookbooks out there, but this is one you’ll actually cook from. There are super-simple recipes for everyday dinners as well as special-occasion meals. No matter what recipe you choose from, they always call for fresh and delicious ingredients. This book features everything from home-made corn tortillas and pickled jalapenos (they'll easily become a go-to snack), to mini pound cake for dessert. There are also vegetarian recipes to choose from. Jacques Pépin has a way of making complicated cooking simple, and that’s what this book is all about. Each recipe exists as a way to help you learn the many cooking techniques Pépin relies on. Some techniques are more basic, like the proper way to prepare an onion, while others are more amusing, like how to create fancy vegetable garnishes. Whether you’re looking for a better way to truss a chicken for a family dinner, or you need to know how to shuck oysters for a special party, this book will teach you techniques and recipes you’ll use over and over. Recipe books can tell you what ingredients to combine and how to cook them, but this book explains why as well as how the recipes work. The 230 recipes in this book explain scientific principals in a straightforward way that you’ll easily be able to understand. Why is pie dough flaky? Is it possible to overstuff a chicken? What role does fat play in cooking? There are also troubleshooting methods that you can use when a recipe from another book goes wrong. If you're interested in making jam, jellies, pickles, or salsa but don't know where to start, this book is for you. Ball has been publishing canning books for decades, updating each edition to account for new safety guidelines, the latest technology, and new tastes in food. Whether you want to can a few jars of hot peppers or a large batch of tomato sauce, this book will make sure you’re doing it right. Most ice cream makers come with a few recipes, but when you want to expand your repertoire, this is the book you need. From plain vanilla to exotic ice creams, and from desserts to frozen drinks, this book will make sure your ice cream maker is getting enough use to keep it around. This book takes food science to a whole new level, going above and beyond to explain why normal recipes work and then introducing new recipes that are not what mom used to make. Since this book came out some of the techniques have become a little more mainstream (like using sous vide or pressure cookers), but there’s still plenty to learn. Science-minded cooks will love this book, while the vibrant photos make it a great coffee table book to flip through.